The season 2 finale of Timeless is now a series finale…for now. 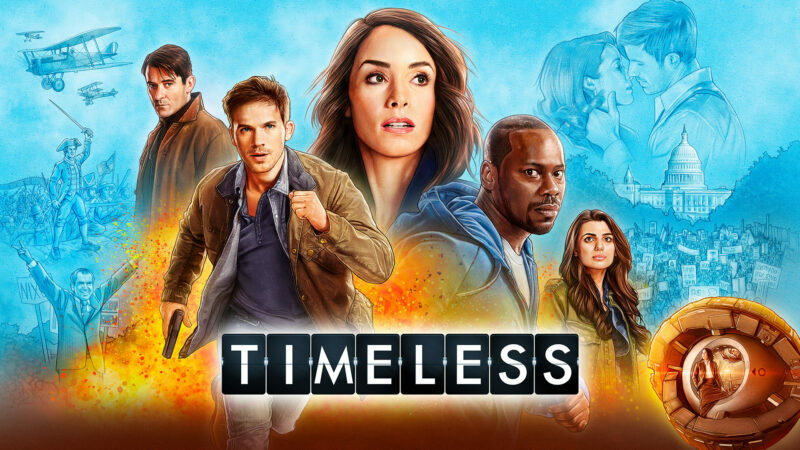 After a month of campaigning by fans and the Timeless cast and crew to #RenewTimeless, NBC finally dropped the axe on the time-travel show. Timeless was famously renewed for a ten-episode second season after NBC cancelled the show last May. Despite having rave reviews from fans and critics alike, Timeless “only averaged 4.2 million viewers and a 1.0 in the demo,” according to Entertainment Weekly. EW also said that according to sources, there are talks of a movie to wrap up the cliffhanger ending of season two, but neither NBC nor Sony have officially said anything about it. Here’s hoping that we get to see Lucy, Wyatt and Rufus take one last ride. Final Day for Rob Benedict’s “Rock God Roadie” Campaign!